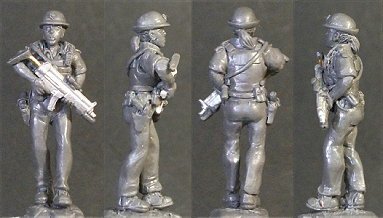 Below you'll see pictures of some of the 28mm to 90mm wargames figures that I have designed and sculpted for different companies over the years. 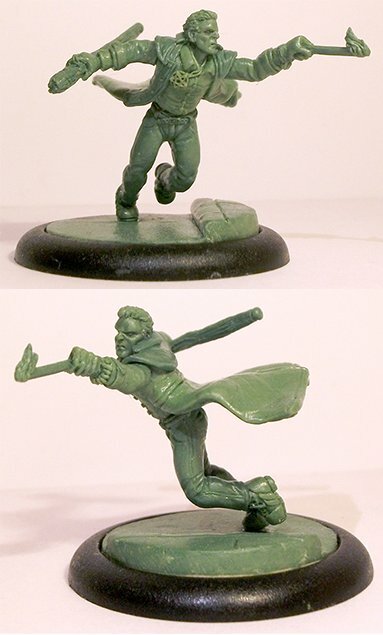 1/56th (28mm) Mercenary sculpted for Oathsworn Miniatures. 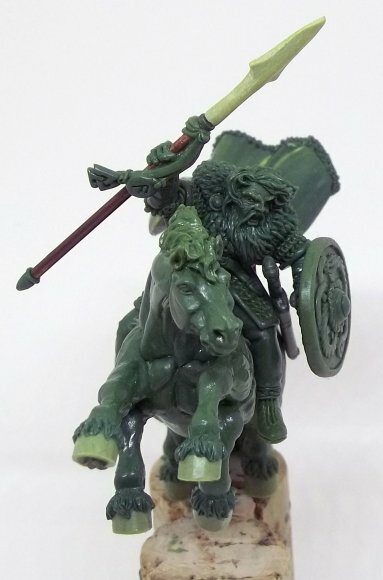 Norse god Odin on Sleipnir sculpted for Oathsworn Miniatures. 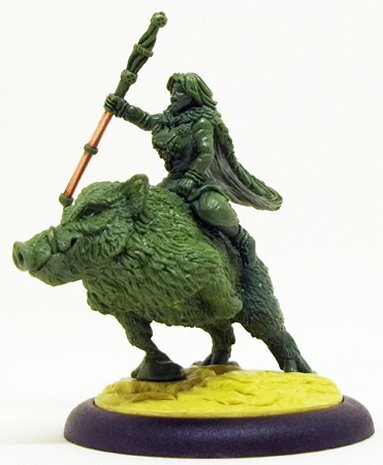 Norse god Freyja on Hildisvini sculpted for Oathsworn Miniatures. 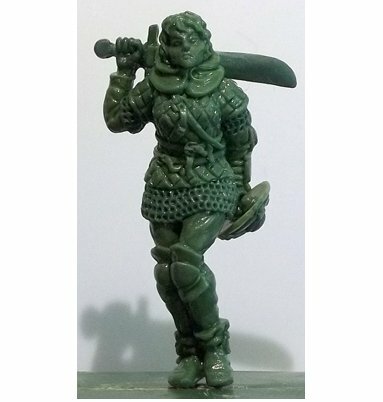 1/56th (28mm) Halfling mercenary sculpted for Oathsworn Miniatures. 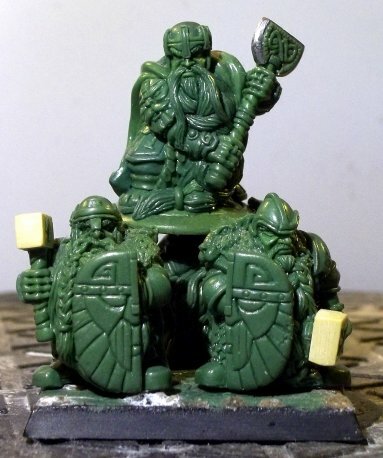 1/56th (28mm) Dwarf king sculpted for Oathsworn Miniatures. 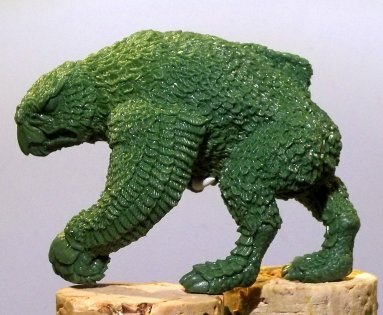 Owlbear sculpted for Oathsworn Miniatures. 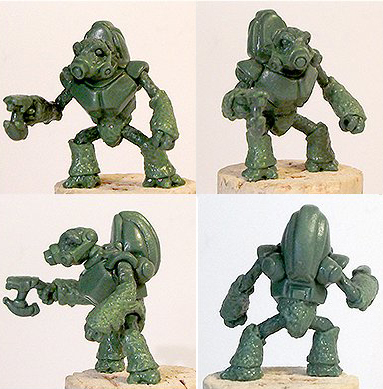 This alien is a 36mm tall model, and was designed for 1/56th scifi gaming. 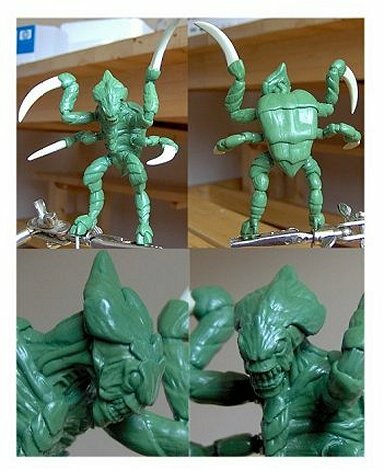 This alien is a 23mm tall model, and was designed for 1/56th scifi gaming. This is a sculpt of Harry Dresden, the wizard from Jim Butcher's Dresden Files novels. 28mm foot to eye. 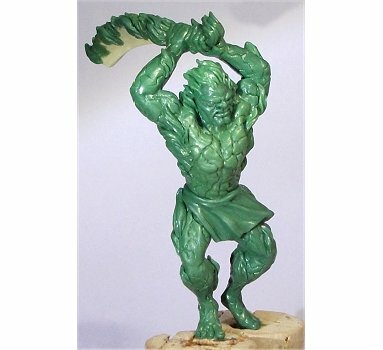 This is a 50mm tall sculpt of Surt, the chief of the Fire Giants. 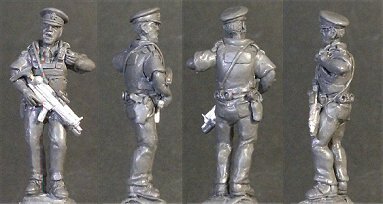 Some 28mm sculpts of UK ARU policemen. 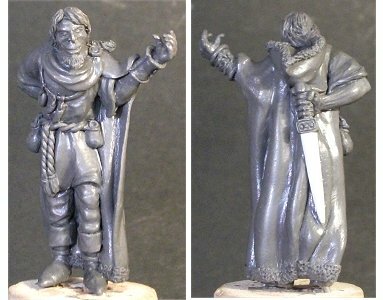 This is a 40mm sculpt of the Norse god Odin with the ravens Huginn and Muninn. 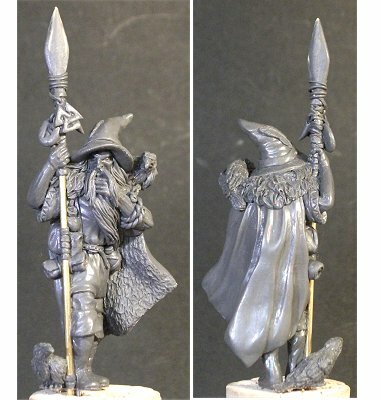 A 40mm sculpt of the Norse trickster god Loki. 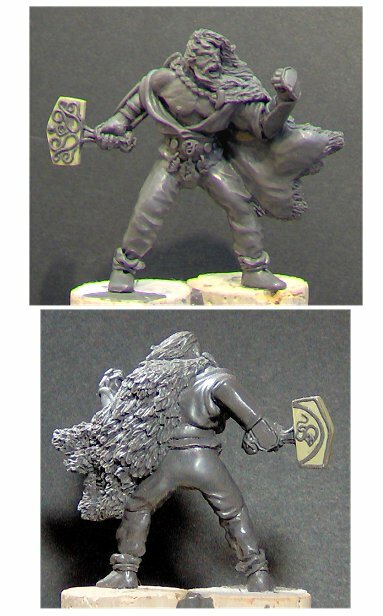 This is a 48mm tall sculpt of the Norse god Thor with his hammer Mjollnir. 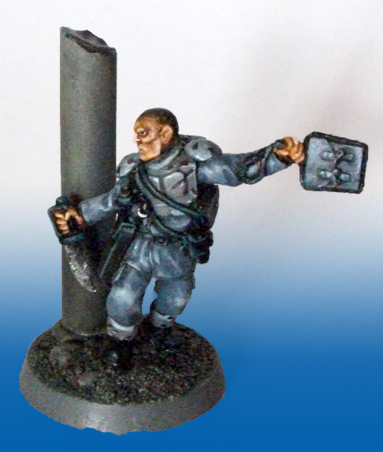 Below is a heroic 28mm sculpt of a sci-fi soldier with demolition charge and a sculpt of a sci-fi abhuman mutant. 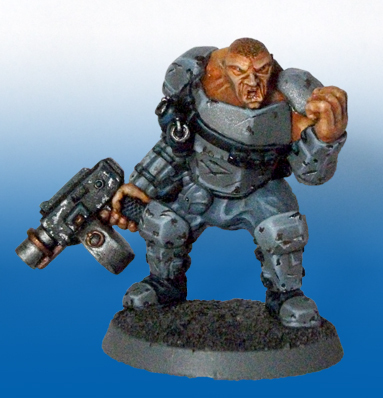 They are part of a new range which will be compatible with Games Workshop's Warhammer 40K rule-set. 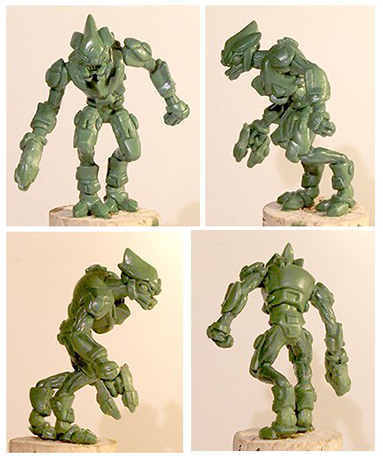 This alien is a 90mm tall model, and was designed as a large monster for 28mm / 54mm skirmish gaming. 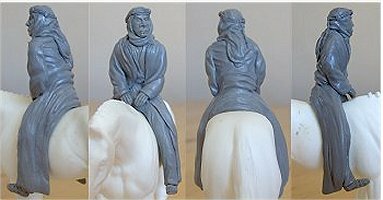 Here are a number of 54mm Stablemate scale horse riders, sculpted for Horsing Around. 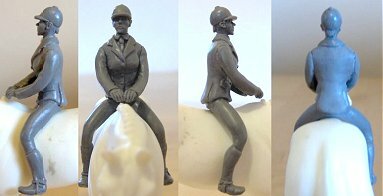 This one is a Cross country rider. A couple of historical figures now. 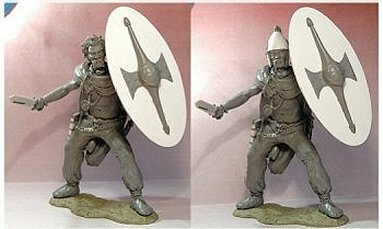 A 90mm celtic Briton sculpted for Grey Army. 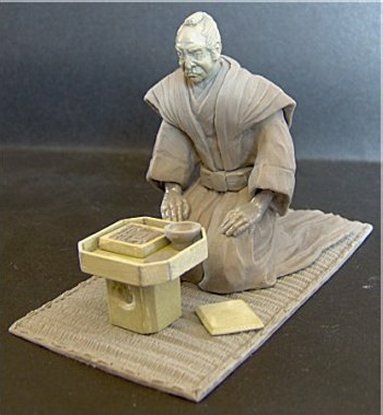 And a 90mm Samurai of the Edo period, preparing for Seppuku. 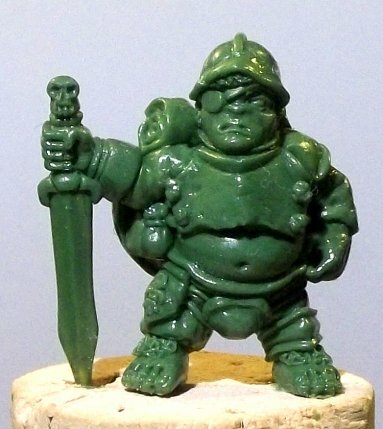 Sculpted for Grey Army.